These days we all have smartphones, computers, tablets … and they sure do make life more convenient but could they be causing you problems you are not aware of? These electronics bring with them many downsides and one of the big ones is how they impact our posture and health. Check out this video to find out more and learn some tips on how you can address this problem. 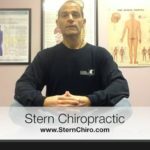 Stern Chiropractic is here to support you and your family on your path to Optimal Health and Well-being. Make sure to check out these related newsletters for more information: Posture and Ergonomics. 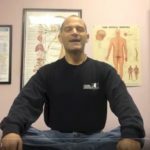 I hope this video will motivate you to bring your family in for a FREE Posture Evaluation! If you are interested in learning more or I can be of further service, please call my office at (847) 537-2225 (BACK) to make an appointment or schedule a FREE consultation.